UPDATE (Oct. 2017): Amazon announced that they have bought Culver Studios, and plan to use its space (including the "Gone with the Wind" mansion) for "a wide variety of roles, including creative, technical, marketing and legal for Amazon Studios, IMDb, Amazon Video and World Wide Advertising." Amazon Prime streaming, like Netflix, provides a variety of original programming, including TV series and movies. No doubt the studio will help them in that production effort. Just northeast of the giant Sony Sony/M-G-M Studios, you'll find the smaller, but equally historic Culver Studios. Over the years, this film lot has been home to such names as RKO, Laird, Howard Hughes, and Desilu studios. The exteriors of most Hollywood studios are notoriously plain, typically resembling large industrial plants. Culver Studios is the exception to that rule; its exterior facade is a grand colonial mansion, a virtual copy of George Washington's Mount Vernon, fronted by sweeping green lawns, sculpted hedges, flowering rose bushes, and the picturesque white "mansion" itself. Without doubt, this is the most attractive of all movie studios, and one that is clearly visible to everyone driving down Culver City's Washington Boulevard. If you're a fan of classic motion pictures, you will immediately recognize the studio's colonial mansion from the opening credits of the David O. Selznick International productions, such as "Gone With the Wind," and "Duel in the Sun." Ironically, like its giant neighbor M-G-M, this studio isn't even located in Hollywood. Instead, it's in Culver City, a sleepy little town with a big Hollywood history. 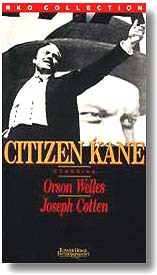 It was at Culver Studios that some of the greatest movies of all time were filmed: Orson Welles' classic "Citizen Kane" (1941), the original "King Kong" with Fay Wray (1933), Alfred Hitchcock's first American film, "Rebecca" (1940), and yes, the unforgettable "Gone With the Wind" (1939). They even staged the famous "burning of Atlanta" scene from "Gone With The Wind" here on the back lot of Culver Studios, on December 10, 1938. The city of "Atlanta" was actually made up of various old sets from previous films made on the lot, which David O. Selznick set ablaze to make room for the construction of the exterior of Tara. (The fire consumed old sets from "King Kong," "The Last of the Mohicans" and "Little Lord Fauntleroy.") Yet the key role of Scarlett O'Hara still had not been cast. As Selznick watched from atop an observation tower as the red flames consumed "Atlanta," his brother Myron introduced him to Vivien Leigh, with the words: "I'd like you to meet your Scarlett O'Hara." Other movies filmed at Culver Studios include: 1938's "The Adventures of Tom Sawyer," 1948's "Portrait of Jennie" (with Joseph Cotton & Jennifer Jones), 1944's "Since You Went Away" (with Shirley Temple and Claudette Colbert), 1947's "The Farmer's Daughter" (with Loretta Young), 1939's "Made For Each Other" (with Jimmy Stewart and Carole Lombard), "The Prisoner of Zenda" (1946, with Ronald Colman, and Hitchcock's "Notorious" (1946, with Cary Grant and Ingrid Bergman) and his 1945 thriller "Spellbound" with Gregory Peck. But it wasn't just movies. Many classic TV shows were filmed on the back lot here as well, including "The Adventures of Superman," "The Andy Griffith Show," "Hogan's Heroes", "Gomer Pyle,"
"The Twilight Zone," "Lassie," "The Untouchables," "Batman" and the pilot episode of the original "Star Trek". The 28-acre back lot was affectionally known as "The Back 40" (an old farm expression) or, later, simply "Forty Acres." In 1968, they sold off most it, and today the entire back lot appears to be gone. Today, the studio is still well preserved, albeit not as busy as it was in its glory days. On this site in 1919, the colonial administration building of what was to become one of Culver City's three major motion picture studios was completed. Built by and first producing films as the Thomas H. Ince Studios, it later became known as DeMille Studios, RKO, Pathe, RKO Pathe, Selznick, Desilu, Culver City Studios, and most recently Laird International Studio. On the back lot, such famous scenes as "The Burning of Atlanta" from "Gone With the Wind" were filmed. Both the nearby M-G-M (now Sony) studios and Culver Studios were once part of Ince Studios, and you will notice that the street running along the east side of the studio is named Ince Boulevard, in honor of the studios' original owner). Like M-G-M, Culver Studios was owned for years by Sony Entertainment. In April 2014, the studio was sold for $85 million, and the new owner (Michael Hackman) plans to turn it into an independent studio. He has promised to preserve the studio's trademark mansion and its lawn. Production goes on at Culver Studios - they've filmed "Raging Bull," "E.T. ", "Beetlejuice," "Bugsy," "A Few Good Men," "Armageddon," "The Matrix," "Legally Blonde," "Night at the Museum" and "Argo" here. The studio is not open to the public, and no tours are offered. But many TV sitcoms, talk shows and game shows have been taped at Culver Studios, which required live studio audiences. In more recent years, they shot "Mad About You" "The Nanny", "Arrested Development", "Cougar Town", "Agents of S.H.I.E.L.D." and "Extant" at Culver Studios. If you really want to see the inside of this historic studio, go to "Audiences Unlimited" and see if they have tickets to a show taping at the studio - if they do, then with ticket in hand, you may be able to walk inside the studio for the tapings. Getting there: (See the directions for M-G-M Studios .) Culver Studios is located on the same street as M-G-M Studios (now Sony Pictures), on the south side of Washington Boulevard, between Van Buren Place and Ince Boulevard, about a half mile northeast of M-G-M Studios. / From M-G-M (Sony/Columbia) Studios: continue east on Washington Boulevard for two blocks, until you come to an odd X-shaped intersection with Culver Boulevard. Turn left at the stop sign (to stay on Washington Boulevard), and drive past the south (right) side of the triangular Culver Hotel (which is in the middle of the street). Just past this odd hotel, on your right (south) side is Culver Studio, partly hidden behind an ivy covered fence. The public is not admitted to the studio (except for live TV tapings).